In February 2016, I traveled from Los Angeles to my home state of Nevada. For the past three years, new hires in the rooftop solar industry have been an engine of job creation in the Golden State. Economists up and down California cite the solar industry for its 20,000 new jobs in 2015 alone. Those jobs went mostly to the young and able. Able to sell door to door; able to handle thorny customer service issues; able to mount rooftop solar panels. 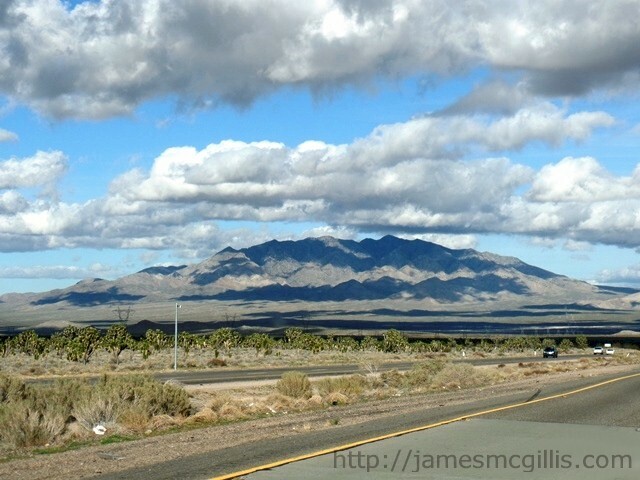 As I traversed Interstate I-15 North from the Los Angeles Basin to the Mojave Desert, I anticipated that Nevada, the Silver State, would be keeping pace with California in New Energy production. Arizona, which is Nevada’s more populous neighbor to the east, had already killed rooftop solar in favor of “Clean Coal”, Nuclear and Natural Gas fired electrical production. Surely, the State of Nevada could do better than their troglodyte cousins who live across the dwindling stream of the Colorado River. 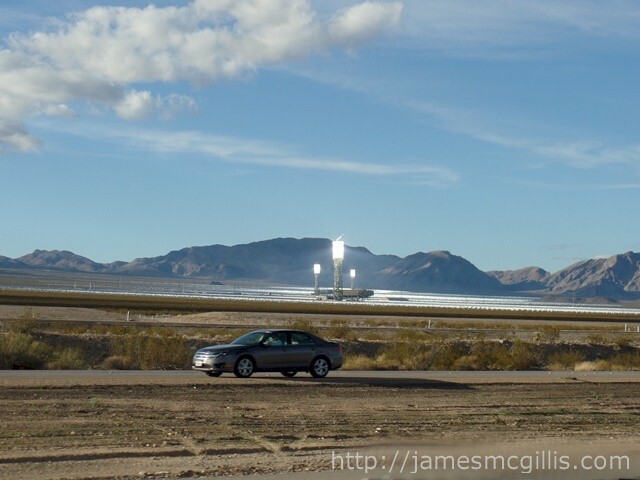 As I left Baker, California, I could not wait to see the Ivanpah Solar-Thermal Station, near Primm, Nevada. The Mojave is a large desert, so one must remember that the Ivanpah Valley is still within the borders of California. There, where developers thought that no one would notice, California’s Governor Gerry Brown had authorized the most destructive “green energy” plant in the country. Famous for the displacement and killing of many desert tortoises and the continued flash frying of countless birds, this ill-conceived power plant helps no one other than the old Google Corporation (Now “Alphabet” Soup) and its other ultra-rich investors. 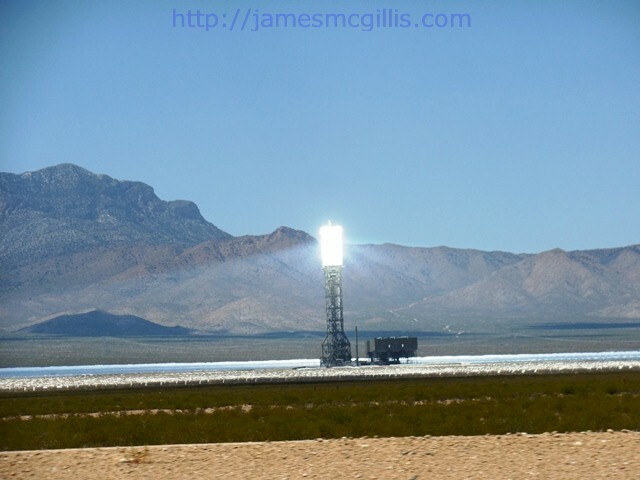 With its three grandiose towers glowing brighter than the sun, Brightsource Energy’s solar folly in the desert is a defining boondoggle and tax-dodge for the rich and infamous. On my outbound trip, all three towers shone like molten pillars of salt. On my return trip, one tower was dark. If you pass that way, do not stare at the lighted towers. More than several seconds of exposure could damage your retinas. Along I-15 there are no solar-thermal warning signs, although there should be. The unearthly scenery at the power plant makes you feel like you are already in Las Vegas. 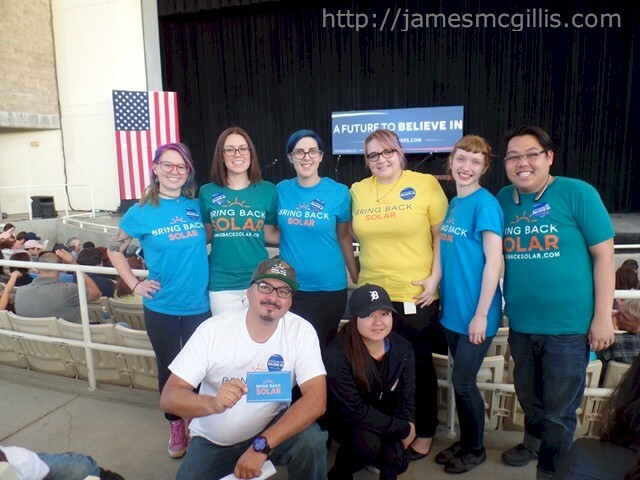 Several days later, while attending a rally for Bernie Sanders in Henderson, Nevada, I met a (former) crew from SolarCity, Las Vegas. They were campaigning hard for the public to realize that the Nevada Public Utilities Commission (PUC) had recently killed the rooftop solar industry in Nevada. It had also killed 550 SolarCity jobs in Nevada. Through the application of an onerous negative "net metering" structure, the PUC made it impossible for even industry leader Solar City to continue installing rooftop solar. When one thinks of the West, they often think of sunny Southern California. We also recall that Southern Nevada and Southern Arizona are deserts. Almost anyone could tell you that those two states are “hot, dry and sunny” on most days. 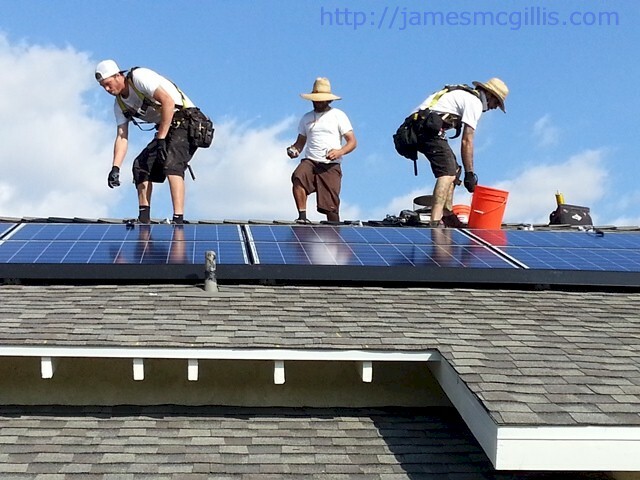 As with California, both Arizona and Nevada are perfect places for rooftop solar installations. For reasons of fear and conservative orthodoxy, Arizona killed rooftop solar several years ago. So, what happened recently in Nevada? Why would the Nevada PUC nix the development of such a natural and benevolent power source? Look no further than NV Energy, the private utility that provides electrical power to 2.4 million of Nevada’s 2.8 million residents. On May 29, 2013, NV Energy announced its acquisition by MidAmerican Energy Holdings Company (now Berkshire Hathaway Energy). In other words, NV Energy is now a subsidiary of Berkshire Hathaway, Inc. whose chairperson and primary stockholder is billionaire Warren Buffett. Apparently, Warren Buffett was still smarting from the ongoing decrease of coal shipments on his Burlington Northern Santa Fe (BNSF) Railroad. With coal in decline all over the country, Warren Buffett seized on solar as easy prey. The rooftop solar industry as we know it is less than a decade old. In a classic “Old Energy” vs. “New Energy” struggle, Old Energy won. “New energy be damned”, I picture Warren muttering under his breath. “Coal and natural gas are the energy stocks of the future”, he said to himself. Whether Warren Buffet lobbied directly or indirectly with the Nevada PUC, they got his message and destroyed the rooftop solar industry in the state. Think about it. Once you have solar panels on your roof, with minimal cleaning and maintenance, you just sit inside your home and enjoy low cost energy produced by the sun. 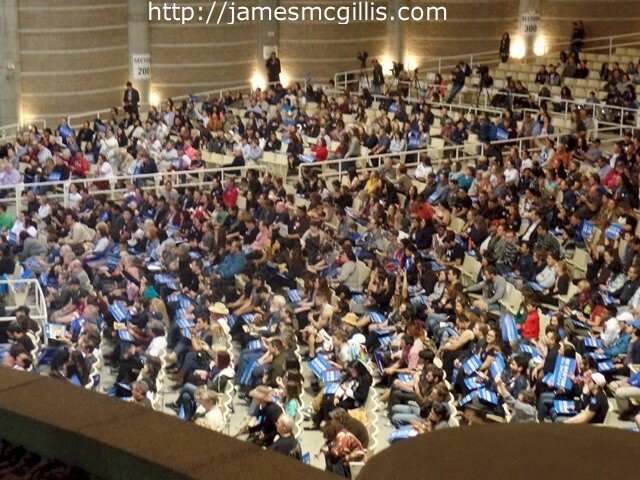 Under the Warren Buffett, Old Energy scheme, you will sit inside your home and pay for massive coal or gas-fired power plants hidden far out in the desert. Fossil fuel power plants require a steady stream of carbon stock, which in turn creates a steady stream of revenue for Berkshire Hathaway. With Buffet’s monopoly control over electrical energy in Nevada, there was no contest. As expected, the PUC bet on what they believed was a long-term winner. If that winner created higher consumer costs, increases in global warming and more money for the billionaire class, so be it. Warren Buffet did not acquire his current wealth of $71 billion by playing nice. With his wan smile, the 85 year-old hustler might as well be telling all Nevada electrical consumers to “shove it where the sun doesn’t shine”. 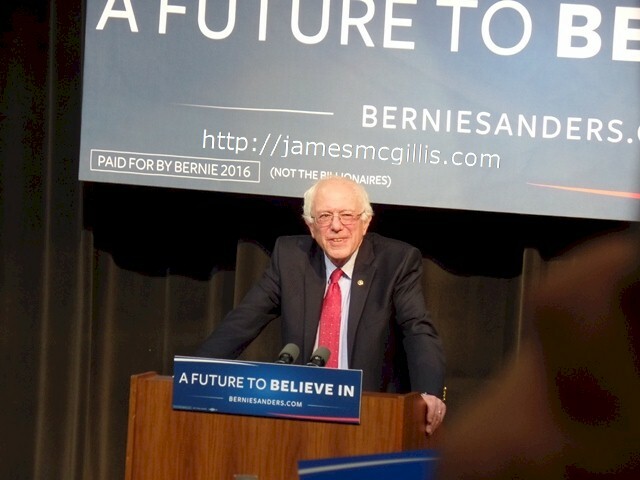 In their boldfaced destruction of the rooftop solar industry, that is what he and the Nevada PUC did. If California and many other states can promote rooftop solar installations as the backbone of a new industry, why should Nevada kowtow to a billionaire and his cadre of wealthy stockholders? If Nevada were to allow a public referendum on the issue, rooftop solar would return to Nevada in a heartbeat. 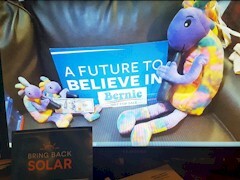 Pro solar advocates collected over 18,000 signatures during the recent Nevada Caucuses. Only days later, a political action committee (PAC) named "Citizens for Solar and Energy Fairness", designed to "advocate for, or oppose" net metering programs filed a legal challenge to the pro-solar referendum. In a recent statement to Politico, NV Energy admitted that it is "supporting" the new anti-solar PAC. 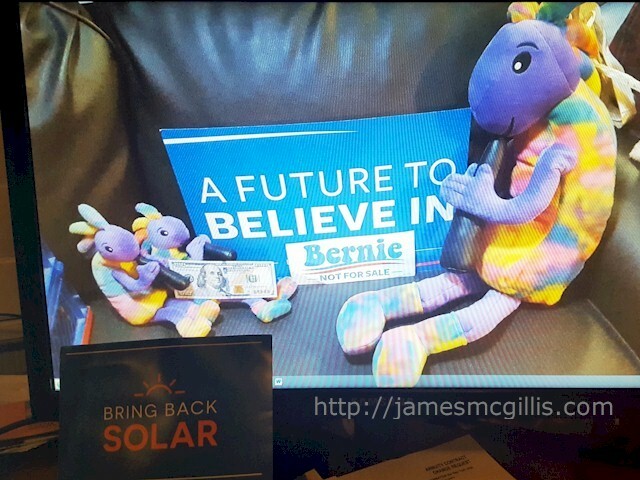 Residents of Nevada, it is time to put an end to this tomfoolery and allow a vote for Nevada to Bring Back Solar.